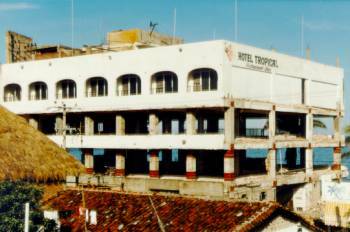 The Hotel Tropical was severely damaged in the 8.0 earthquake of October 9, 1995 and is undergoing reconstruction. 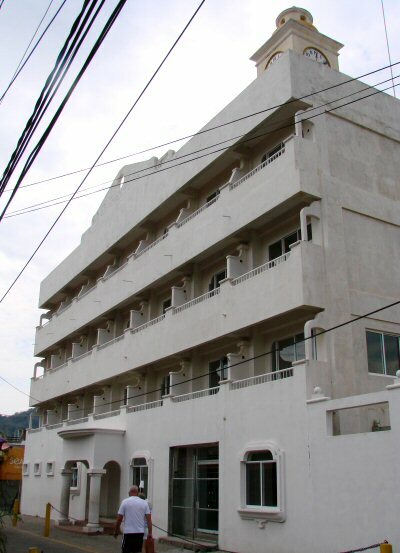 It is a very old hotel, see Old Photos. December 2000 update: Project stalled, evidently ran out of money. October 2003 update: Still unfinished. Here is the Tropical in February 2006. 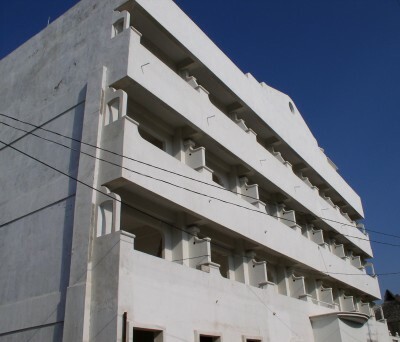 It is looking better on the outside but still unfinished on the inside. There are only two construction workers doing all this work. Let's check back in another 8 years. Tropical, street side, in February 2006. 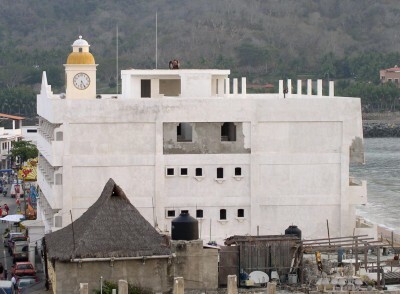 Looking somewhat finished, in February 2010.